The only way to see the famed Balmaceda and Serrano glaciers is from the water. 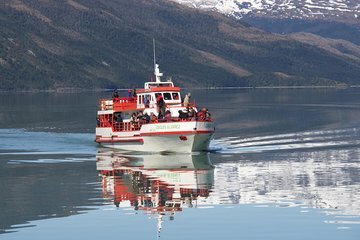 This guided tour from Puerto Natales takes you into Bernardo O'Higgins National Park, through Patagonian fjords toward the glaciers and more. Embark on hike through a forest, drink a cocktail made with glacier ice, and enjoy lunch at a local ranch.